"A nostalgically styled but incredibly playable high octane driving game." Gangan! 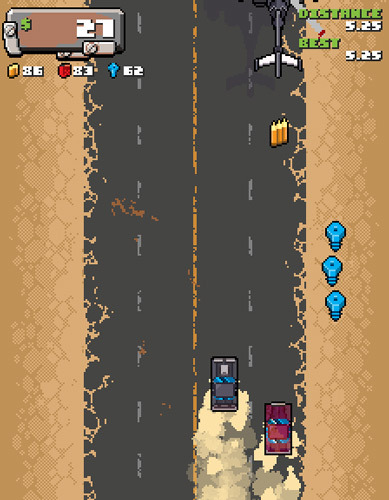 Junkland Dash is a top down driving game where you don’t just have to make your way through the streets as fast as possible but also avoid obstacles and enemies in other cars and even helicopters. Made for the “A Game by its Cover” game jam Gangan! 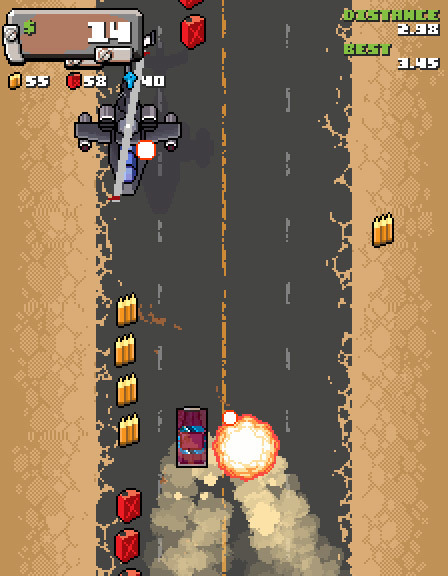 Junkland Dash takes inspiration from classic games such as Spy Hunter and to a lesser extent Outrun but adds the unique element of making the game in to an endless runner where there is no finish line but a constant onslaught of enemies and obstacles until eventually and inevitably you crash, get exploded or run off the road! The game has the look and feel of a classic computer game and is likely to bring up feelings of nostalgia in gamers old enough to remember systems such as the Amiga 500 but on playing the game itself it’s actually a very refreshing game and one that is incredibly hard to put down when you start, there is probably nothing more satisfying than taking a helicopter down with your front mounted gun while flying off a ramp over a bunch of explosive barrels. 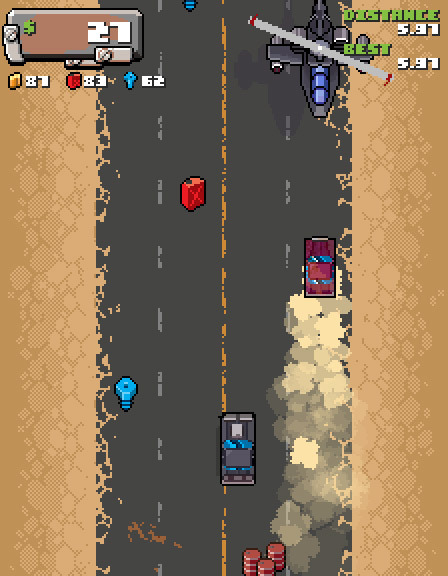 A simple yet incredibly playable game that conjures up images of the Mad Max movies which is no bad thing. You can download Gangan! Junkland Dash here for free.